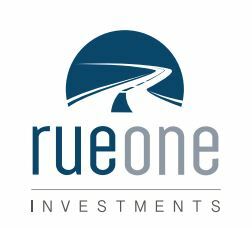 RueOne Investments is an independent private equity firm offering family offices and institutional investors exclusive access to high quality, sponsored direct and co-investment opportunities on a deal by deal basis. With RueOne, investors can invest directly in a diverse range of individual investment opportunities such as a single private equity transaction or a real estate project – not funds. RueOne has the flexibility to sponsor deals or work with external sponsors with the result of providing investors a single point of entry for unique transactions. Our institutional-quality platform features attractive investments sourced from our extensive proprietary, global network and managed by top investment talent, as well as a best-in-class infrastructure. We are a next generation type of private equity firm, best suited to the demands and needs of today’s investor. Our investor-friendly approach means that we don’t charge subscription or access fees, and provides greater fee transparency, an alignment of incentives through our principal investment in every deal, and the opportunity for the investor to take control by investing directly in carefully curated deals rather than in funds. All deals are exclusive to RueOne and we do not rely on brokers, finders, or placement agents. We operate as an investment advisor -- not a placement agent or a broker-dealer – so our interests are fully aligned with yours. We are seeking a driven and entrepreneurial individual with significant experience in developing and implementing sales, marketing and capital raising for individual private equity, venture capital, and real estate investments. The role is focused on general business development, building the RueOne brand and raising capital for individual direct investments, not funds. Experience in direct/co-investments and capital markets is preferred. The Head of Business Development will have primary responsibility for raising capital for RueOne’s unique private equity, venture capital, and real estate investments utilizing our internal network and additional outside sources. The candidate will be a partner and integral member of the team and be responsible for interfacing with prospective investors such as family offices, endowments, pensions, strategic investors, private equity/venture capital firms, fund of funds and sovereign wealth funds with the goal of developing relationships, growing our investor base, and raising capital for individual transactions. A candidate with pre-existing investor relationships and a network of family office and institutional investors is preferred, but not required. Additionally, the candidate will interface with companies, independent sponsors, and alternative asset managers with the purpose of developing deal flow channels and increasing our investment pipeline. We are offering the opportunity to help shape and lead a disruptive private equity firm at a pivotal stage. The qualified candidate will need to be creative and self-motivated to source and structure capital to grow the business. The candidate must have excellent written and oral communication skills. To be a good cultural fit, he/she must be smart, curious and team-oriented and comfortable in assuming a hands-on and self-motivated, but extremely flexible approach to the business. Please contact Jeff Baehr at jeff@rueone.com if you are interested.